The changing of the season brings several household tasks you should perform to keep your home safe as colder temperatures approach. 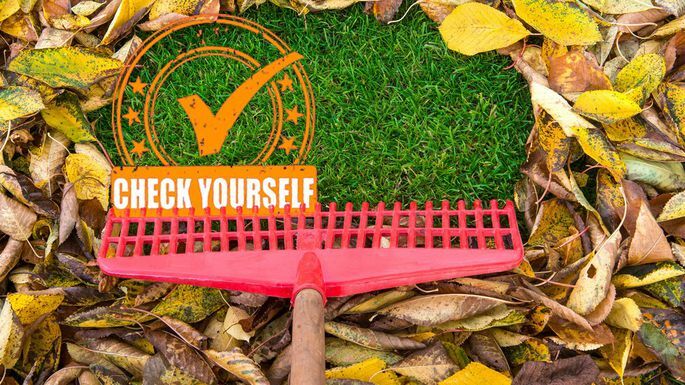 Realtor.com® recently featured several chores to do for fall and winter preparation. 1. Clean the dryer vents. Excess lint in a dryer can pose a fire risk. “A key indicator of a dryer vent needing to be cleaned is if clothes aren’t drying as fast as they usually do, or if it takes multiple cycles to get them completely dry,” says Maria Vizzi of Indoor Environmental Solutions. Homeowners can prevent buildup by emptying out the lint trap after every single load. Estimated cost: Calling in a professional will run you $90-$180. 2. Store the hose. In colder climates, be sure to drain and store the garden hose before the first frost. “Hoses with water in them will freeze and burst,” says Lisa Turner, author of House Keys: Tips and Tricks from a Female Home Inspector. For extra protection, install a foam insulator cover over each external faucet. Estimated cost: Calling in a plumber to fix leaky or damaged faucets could be around $150 to $300. 3. Conduct a thorough fall cleaning. “Open those windows up wide and do a thorough fall cleaning of your home that includes dusting areas that don’t always make the cut, like ceiling fans and ceiling corners,” says home organization guru Marty Basher. Wash draperies, dust blinds, and remove window screens and give them a good wash. Estimated cost: A professional house cleaning service might charge $100 or more, depending on where you live and the size of your home. 4. Seed your lawn. “After a long, hot summer, your lawn could probably use a bit of extra TLC, and seeding is proven to be the most effective way to repair damage,” says Bryan Raehl, general manager of Agronomic Lawn Management in Virginia Beach, Va. Seeding before the first frost will allow the seeds to take root and give your lawn a head start in the spring. Estimated cost: Between $250 and $1,300 for a professional landscaper to winterize your lawn. 5. Clear the gutters and downspouts. These direct water away from your home, and it’s important to make sure they are functioning. Check the gutters for leaf blockages. Clear away leaves, pine needles, and twigs from the gutters. Examine downspouts for any damage or loose pieces. Use a hose to flush out debris and to make sure it’s working properly. Estimated cost: $150 for a more thorough inspection and cleaning.